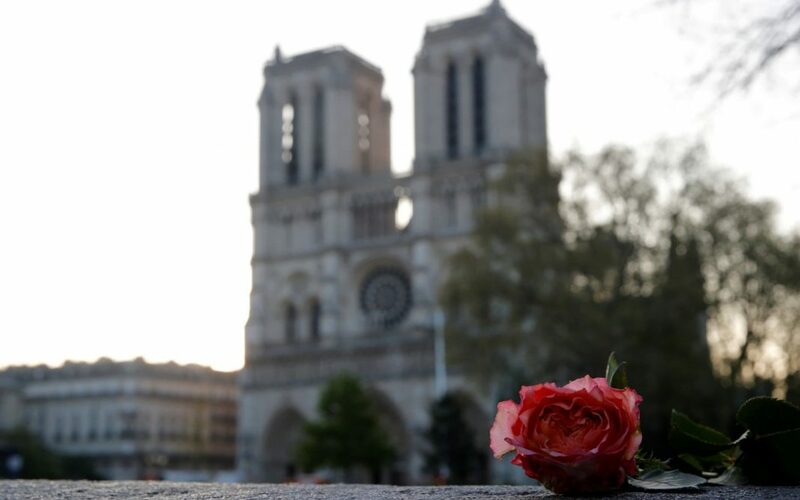 The fund set up to help rebuild Notre-Dame is expected to pass one billion euros today as Emmanuel Macron pledged to restore the fire-ravaged cathedral in five years. Contributors include Apple and magnates who own L’Oreal, Chanel and Dior, as well as Catholics and others from around France and the world. It comes as President Macron last night set a five-year deadline to restore the 12th-century landmark. Mr Macron is holding a special cabinet meeting today dedicated to the disaster at Notre-Dame. Mr Maude’s firm was called upon by the British royal family to help restore Windsor Castle following a fire in 1992 that also shocked the country. Mr Maude pointed out that “there has already been a process of change at Notre-Dame” with the 19th century restoration work done by French architect Viollet-le-Duc, and that carefully selected parts of the church could be modernised, making it more efficient and less at risk of future fires. “One particular difficulty which I can imagine is the cathedral being largely constructed of limestone,” warned Mr Maude. – ‘A symbol of renewal’ – The cathedral’s relatively bare interior should count in its favour, compared to Windsor Castle, where centuries of redevelopments led to a complex web of empty spaces behind the walls.